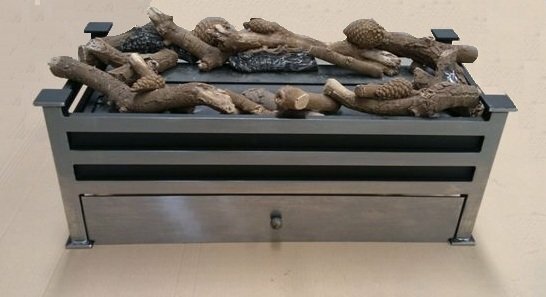 This 10 piece log set is designed to fit perfectly with out outdoor gas fire pit. The ceramic logset is a high definition logset, far superior to cheap lightweight ceramic fibre logs. 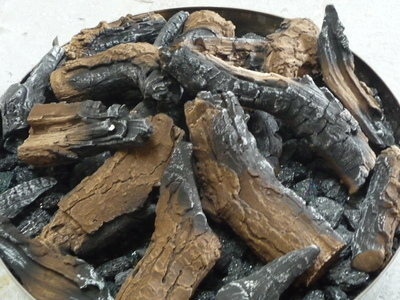 The logset is available in silver birch or dark brown (shown in dark brown) All of our ceramic logs are hand painted. These fireplace accessories can be used on gas fires (gas logs) and bioethanol fires.